These two salts have a rare crescent form. Each stands on four solid ball feet. Beautifully repoussed with scrolling foliage and floral work, the sides of the bowls have indentations for spoon rests. 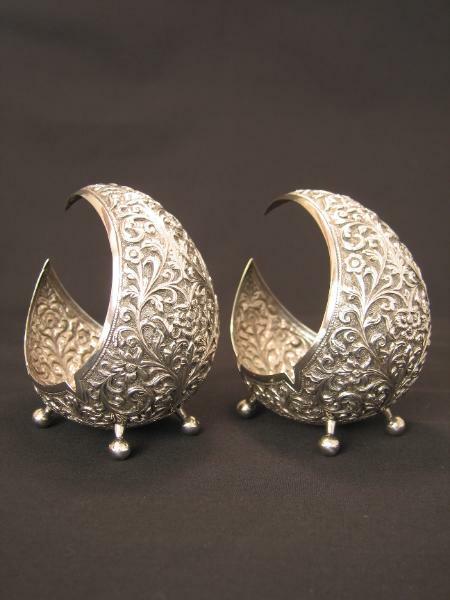 Excellent examples of the ingenuity and creativity of late 19th century Cutch silversmiths.